Towing a car with a tow-rope, often as a means of recovering a broken down vehicle, was reasonably common in years past. Mechanical breakdown - In the event of a flat battery, a jump start may be provided. If you need a replacement battery, we can organise one for you, but at your own cost. All our repair comes with 100% satisfaction guaranteed and all our auto mechanics are friendly and knowledgeable. 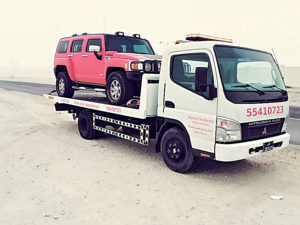 Over its 30 years long services in Qatar, car towing has emerged as one of the leading car towing companies in the region. The host of timely services, from breakdown to car repair and road side assistance offered by the Car towing company has allowed it to earn the trust of many car owners in the country. Oftentimes a car breakdown strikes you when it is least expected. Our car towing company understands the gravity of the situation and work towards finding immediate solutions through a diverse range of services. Equipped with an industry experience spanning over three decades, Car towing Qatar is today backed by a team of professionals who are committed to delivering broad ranging road side assistance. Each employee at the car towing company displays unmatched expertise in performing rescue operations, thus resolving breakdowns with great amount of ease. 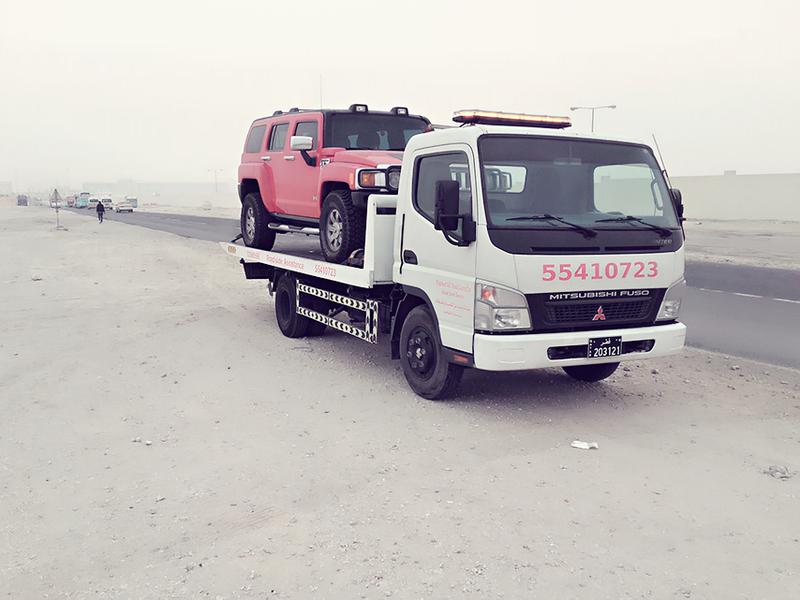 As the leading towing company in the region, Car towing Qatar sets high standards for all services. With an eye to tackle the unexpected breakdowns occurring at ungodly hours of the day, our team of experts work around the clock to offer 24/7 Car repair services. We go to great lengths to aid all causalities of breakdown induced troubles while placing emphasis on timeliness and professional integrity. Supported by the most advanced equipments and a well-trained group of professionals, the fast-growing car towing company has consistently offered emergency towing services for those in hour of need. Providing a wide range of solutions with latest set of equipments allows Car towing Qatar’s operators to perform consistently on a professional level. The car towing services we deliver today are governed by the principle of fully meeting the requirements of customers. At the end of the day, our operators realize the importance of making services available to anyone affected by car related inconvenience. The last the thing you want as a car owner is to find yourself stranded in some desolate region with no signs of road assistance around. The best way to deal with untoward road incidents is by signing up for a reliable automobile club. We go to great lengths to aid all causalities of breakdown induced troubles while placing emphasis on timeliness and professional integrity. If you meet with an accident rendering you incapable of driving, our car towing services will rush to your aid in the blink of an eye. Whether you deemed unfit for driving or your car is not in good condition, you can be rest assured that our car towing experts will take the right course of action. It is a well-documented fact that Car breakdowns are characterized by their unpredictability. These kinds of trouble hit you without the slightest of notice irrespective of time and place. Since it is inevitable for cars to encounter breakdown at some point, Car towing Qatar strongly advices owners to subscribe to the services of a car towing company.